Sounding Board Productions is a publishing company based in Fressingfield Suffolk and run by former radio producer Nicholas Jenkins. We specialise in finding innovative ways to make oral history and dialect recordings available to a wider audience as well as creating broadcast quality podcasts. Besides publishing, we also offer training in sound production and editing. We are particularly interested in presenting the Suffolk dialect, which has fascinated writers such as George Ewart-Evans and Adrian Bell and yet is still routinely mangled by well-meaning thespians! They have a good excuse: although the Suffolk dialect is easy to find in print, quality sound recordings are virtually impossible to track down, unless you can navigate your way through professional archives. Suffolk Voices changes this, bringing authentic Suffolk speech to your CD player. Each disc is like a radio documentary, with music, sound and, of course, characters with whom you will love spending your time! 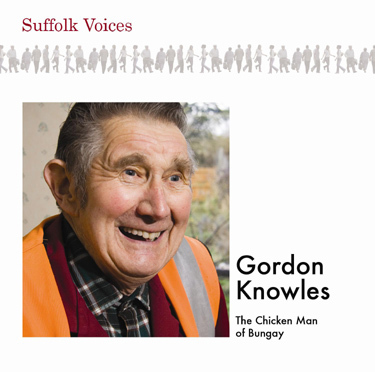 One such is the Gordon Knowles, the Chicken Man of Bungay who selflessly looked after of wild chickens that lived on a roundabout. These chickens became almost nationally famous but Gordon himself is a most wonderful speaker, as anyone who has heard this CD can attest. We also published a CD of Essex Voices in collaboration with the Essex Record Office that present the accents of the county before "Estuary" swept many of them away. We have just finished an exciting new project, a 60 minute documentary podcast to help promote the cuckoo tracking project by the British Trust for Ornithology. 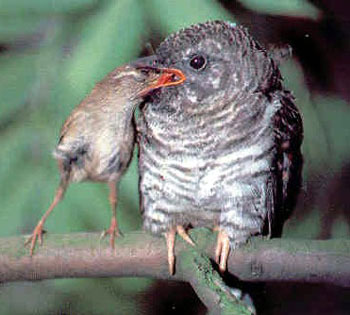 It is called "The Call of the Cuckoo" and features such distinguished speakers as Professor Richard Dawkins, who explains the evolutionary implications of cuckoo behaviour, and Professor Nick Davies of Cambridge University, perhaps the world's leading authority on the European cuckoo. We also meet other other leading scientists and ornithologists who show us just how clever cuckoos are, and no less fascinatingly, just how clever human beings have had to be to find this out! But no Sounding Board Production would be complete with out dialect and we have smuggled in some East Anglian country voices who movingly attest to the disappearance of this most iconic of birds in their own lifetimes. In a change of direction, we recently were asked to make a podcast to publicise Aquatread, an endless pool facility in Leeds set up by the Olympic triathlon gold medalist Alistair Brownlee, his Olympic bronze medal winning younger brother, Jonny Brownlee and their training partner and Aquatread head coach, Rhys Davey. 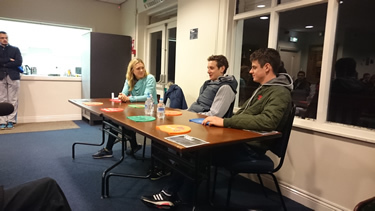 We also had the chance to meet Commonwealth bronze medalist Vicky Holland who moderated a Q and A with the brothers (and if you look closely at the picture, you will see Sounding Board's AKG 1000C microphone in action!) Although we are more used to dealing with Suffolk dialect than broad West Yorkshire, the style of the podcast is very similar to our previous work and was no less enjoyable to make. We also continue to manage the website for the Explore Waveney Valley audio walks project. Launched on May 22nd 2012. Sounding Board was commissioned to make seven full length audio walks in our "house style", bringing the towns alive in a mixure of history, memories and gossip! The project was funded by Awards for All and the Rural Development Programme for England, funded by DEFRA and the EU.